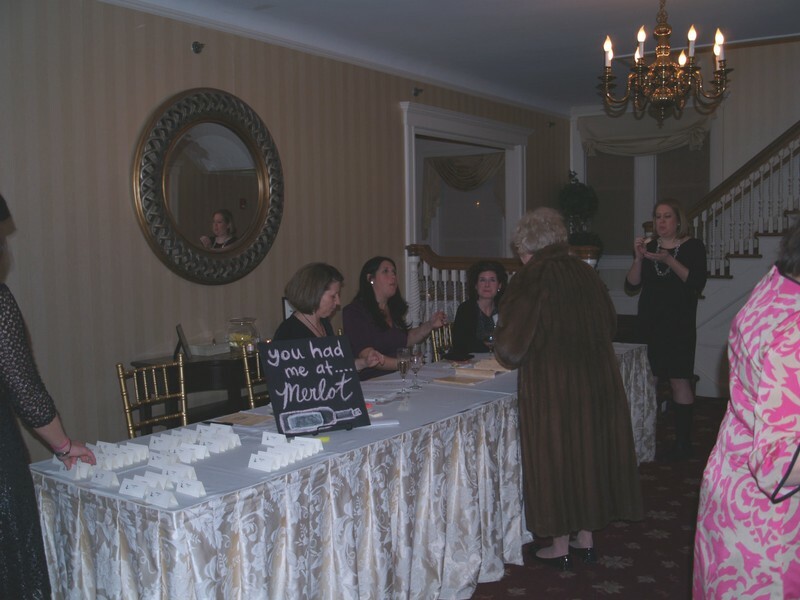 12/10 REMARKABLE HOMES OF MORRIS PLAINS, a holiday house tour held in Morris Plains in December 2010, drew 60 visitors to the five homes that spanned a century in construction and featured two Stickley homes from the American Arts and Crafts movement. Thanks to the generosity of the homeowners who opened their beautiful homes for the tour and to the many sponsors and supporters of the event, the Foundation raised over $2500 toward teacher grants. 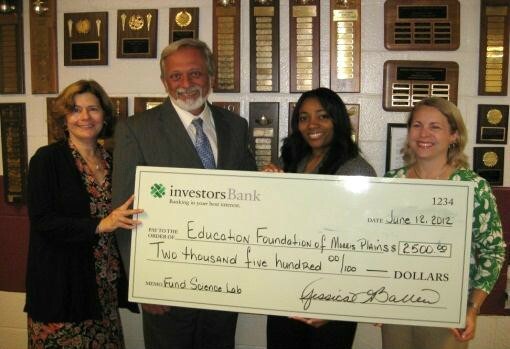 The Investors Foundation made a donation of $2,500 to the Education Foundation of Morris Plains (EFMP) for the purchase of new technology for the middle school science labs. A check was presented to the EFMP by Jessica Ballew, branch manager of the Morris Plains Investors Bank at a Morris Plains Board of Education meeting on June 12 in the Borough School auditorium. 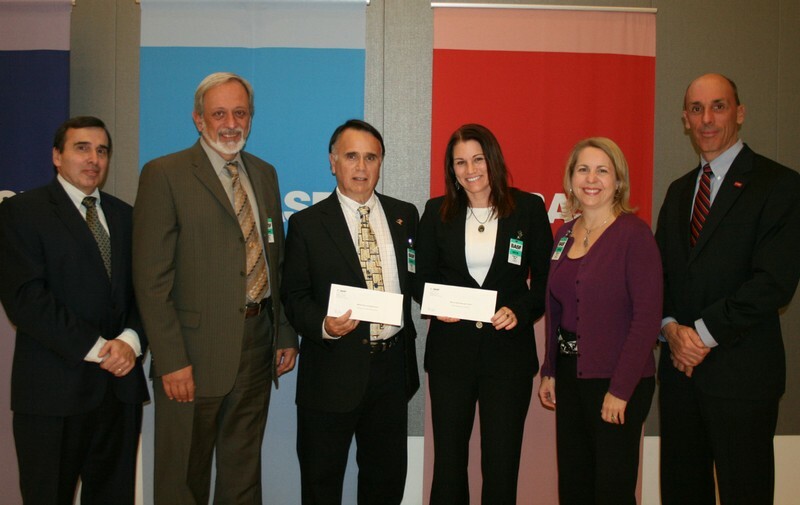 The Borough School is the recipient of two $5000 BASF Science Education Grants for 2012 and was recently recognized at a reception held at BASF’s headquarters in Florham Park.A key strategic initiative of the school district for the 2012-2013 school year is to build a new middle school Science Lab – one equipped with technology which will help to create 21st century learners and propel Borough School to the forefront of science education. BASF was impressed with EFMP’s proposal to purchase state of the art digital microscopes and handheld MiScopes for the Lab, and our school’s efforts to foster students’ interest in the sciences. The Science Department, under direction of Ed Frankosky and Casey Devlin, also received a grant to equip a classroom with a saltwater aquarium and to purchase seining nets for the annual Sandy Hook Environmental Study Trip. At his final meeting as a sitting member, departing Board of Education member, Wayne Marek, made a generous contribution to the EFMP. The $1000 donation was presented to the Foundation in loving memory of Wayne's father, Cornelius Marek, Jr., who attended Borough Schools from K-8 and graduated from Morristown High School in 1959. According to Wayne, the school district had contributed to his father's life-long love of learning, and his family thought it fitting to give something back to the school and to the community where he grew up. The Foundation is grateful for this thoughtful tribute. 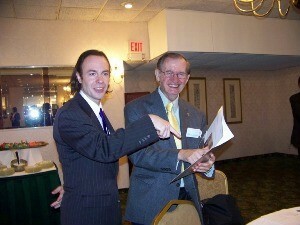 This was the second year for this very successful fundraising event. 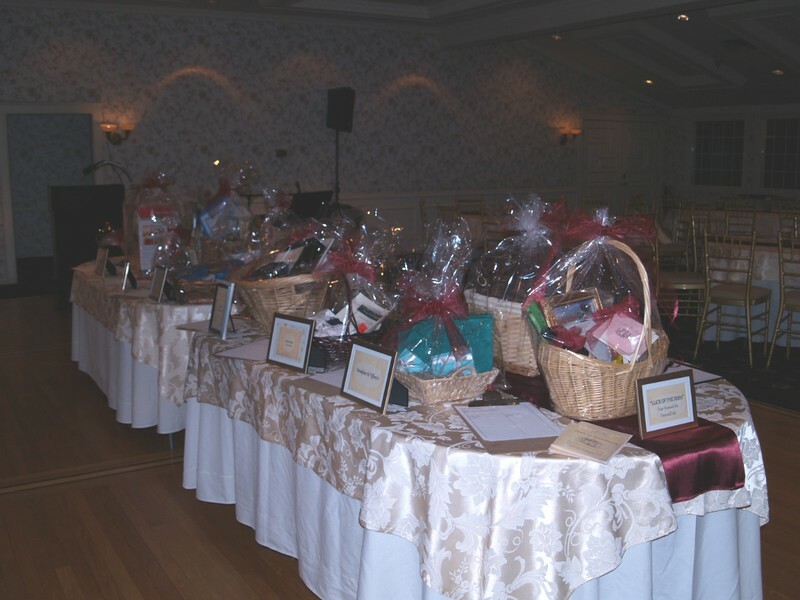 A wine tasting and gift auction were held at Bretton Woods in Morris Plains. Wines were provided by Gary's Wine & Marketplace and gifts were donated by many generous local sponsors. In two years, this event has raised over $24,000 to enhance the middle school science program at Borough School!